Being successful in finding a good investment requires some degree of research, a thorough understanding of your risk tolerance and some strict due diligence. To accomplish this, many investors meet with financial planners and set a course, or strategy, that matches up with their risk acceptance, their goals and their funds. This is a great strategy to follow with all of your traditional investments and investing money into emerging countries is no different. In fact, some would say it is even more important, given that these markets tend to be geographically distant and also have new or no banking regulations in place to regulate outside investment. Often times (although not in Brazil and China so much) regulations and banking/investment standards are not always done the same way as in known financial marketplaces, such as North America and Europe. These rules and regulations can be both a blessing and curse at the same time if you do not know how to navigate your way through. Therefore it is best to deal with an experienced asset manager, with knowledge of these marketplaces. For those investors who are unaware, an emerging market is an economy that is up-and-coming and that is growing into a mature economy. 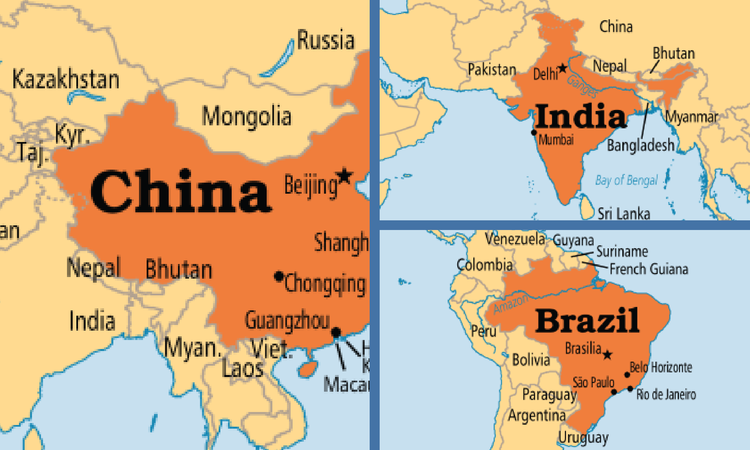 Places like China, India and Brazil can all be considered 'emerging' even though China is one of the world's largest economies and will soon surpass the United States (estimated to be in 2016) as the world's largest economy. But the sheer size of the marketplace does not mean that it cannot be considered to be emerging.The fact is that these countries are still developing and need investment to achieve their economic potential. Aside from China, emerging markets - such as Brazil and India, have large population bases and an economy growing at a very high rate. Often times these markets have a mix of manufacturing and raw natural resources (mining, forestry etc) and are predicted to continue growing well into the future. Moreover, given that emerging countries will account for almost 70 percent of world economic growth in the next half-a-decade, there are many great investment experiences to be had.